The #1 spot is r/Market76, but do check out its affiliated discord and website, FalloutTradingPost.com, for more options. They have active mods, reputation systems, frequent events, and trusted middlemen to help oversee and promote trade. There’s healthy and helpful discussions to be had there, too, most if not all this info is aggregated from the sub + discord! And the only way to get around it is with a mod called “Trading Uncapped.” It’s allegedly safe to use. Most mods are safe if they don’t tamper with the executable file. If you’re worried at all, by all means, don’t use it. You are liable to be banned on sight everywhere for soliciting “outside exchange,” which includes, but is not limited to, currency in other games, collectables, favors, or real money. 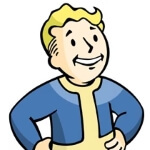 The sale/solicitation of hacked or duped items is against ToS as well, none of which should be tolerated by the Fallout 76 community at large. #5 Wondering if an item exists, if it’s tradable or legitimate? Need a price check? For legendary gear, you should know or reference all possible legendary affixes here. If you’re unsure about a specific item, search r/Market76 to see if it’s ever been listed/discussed. If you ever see anyone offering Atom Shop Power Armor paints for sale, these are tradable via exploit, and you should not solicit their sale. Other “rare” or unreleased items may have been illicitly gained via glitching/hacking, so avoid them as well. Nuka Cola were sadly duplicated en masse, for obvious reasons, and be wary of the TSE market as they were as well. Searching applies to price checks too, with the advantage of looking at actual negotiations. You can make a separate post for a price check if you want, but a really good resource is the #price-check channel on the Market 76 discord! And it was rumored only possible with the use of Cheat Engine, which maybe why the automatic account ban of its use, simultaneous with the game, is so hefty, among other reasons. If you’re scared of this at all, there’s the wives’ tale for both parties to go unarmed. You could also make sure to store your better items into your stash box (if you’ve any space to spare). My 2¢: nothing to fear, just bear everything else in mind. Ok, let’s get to Best Practices. Screenshots of your items are a must. People will know exactly what you’re selling/buying. 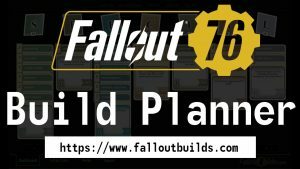 If you’re on PC, it’s easy enough with Print Screen (your screenshots are saved to “C:-[Install Directory]-Bethesda.net Launcher-games-Fallout76,” but print screen also clips your screen(s) to your clipboard) + Gyazo (clips any part of your screen and automatically uploads to their site). To do this on Xbox, check this link. Here’s a link for PS4. It’s common practice to upload and make an album on imgur.com for referencing. Give people as much detail as possible. Let others know what you’re looking for, and what your time frame is. Let others know your time frame! If you’re selling, and you’re looking for the fastest + highest sale possible, let people know! Lots of details help your posts/messages garner attention, and promptness is best and keeps people happy. Keep it slow in the Trade Menu! As soon as you get in there, you can accidentally list something if you spam inputs/click too fast. Slow it down. Only one request item at a time, only list one item at a time—unless you absolutely trust the recipient. If you’re listing multiple items, your buyer could begin trading as soon as they see an item listed, shifting your items up, and potentially forcing whatever item you are now highlighting/hovering over to be listed if you were in the middle of pricing. Scams have happened this way. Good Etiquette goes a long way. Points-based reputation systems only tell us how many trades you completed, not the quality of your trades. If you’ve got a piss-poor attitude, word will get around, and you may be avoided if not outright banned for multiple offenses. If you’re a stellar trader, people will seek you, and you’ll stay on friends lists! If you’re on the Market 76 sub+discord, don’t forget to +karma. If you’re on the site, don’t forget to message people through their item listings and review them! Selling a full set of Power Armor? To my knowledge, trading Power Armor Chassis isn’t possible, and if I’m wrong, it’s risky as it could house pieces of armor you didn’t agree to buy. Simply trade the Armor piece by piece via Trade menu, and then drop them the empty Chassis. “Dropping” the PA Chassis with a full set of armor is risky as you lose ownership instantly, and they can jump in and run! It’s SAFEST to keep negotiations public. Whether it’s over reddit or discord, direct or private messages are discouraged because they can be easily manipulated, and not just with photoshop. Although it might be common practice to PM/DM, more so on discord than reddit, public negotiation is always safest. People are infallible. They will hold grudges or dislike you for the worst reasons, and they will try to make you look bad to moderators. On the Market 76 discord server, edited/deleted messages are logged and reddit comments are in plain sight and show an asterisk if edited, even if the post is removed/deleted (via removeddit.com, just replace the ‘reddit’ part in a URL with ‘removeddit’). Paper bags for trade—Use Sparingly and with EXTREME CAUTION. These are good for quick, cheap n’ easy trades, but the risk is potentially devastating. Although it’s relatively uncommon, paper bags are 100% known to fall through the map. Even when there’s all the trust in the world, an item can simply vanish once you select ‘Drop.’ A workaround is to test the waters first, and drop a single worthless item and then proceed to transfer items to the bag. Still, it’s alleged the bags will randomly expire (hearsay), but someone could always swoop in and steal its contents. ALSO, if you’re transferring multitudes of items into a bag, tell the recipient to wait until you’ve placed everything expected into it. A bag disappears when a user completely loots it; another user can transfer an item(s) into it milliseconds before it disappears, going along with the bag. Asymmetrical trades (item-item) or trades over 5k are the riskiest exchanges possible. This is the #1 way people get scammed. An example of a common asymmetrical trade is an ammo trade, where you trade for less than 1 cap per round. You have to list a “barter” item, usually a single round or cheap junk item, for the agreed exchange. There’s often a lot of trust in the trade community—most won’t have the game mod mentioned above nor will they call a middleman. If you’re sweetening the deal with multiple items, or conducting a Big Money trade, do consider a Market 76 Middleman, to make sure the transaction is scam-free. Restrain yourself from publicly calling out a scammer/duper/exploiter! Doing so may easily devolve your post into “witch-hunting” and generally promotes witch-hunting culture. You also hurt an innocent person’s reputation if you go off suspicion. Use Bethesda’s official support page to report them and then message moderators with as much evidence as possible upfront. On Market 76, message the mods here or DM the Marketron bot on Discord. Hope this serves as a guide for beginners and as a reference for seasoned traders. I’ll be revising the guide based on feedback. I’ll include a Player Vending section once that feature’s available! If you’re roleplaying a storefront, or want a smaller trading community, visit the Community Shops and Factions page on the M76 Wiki.